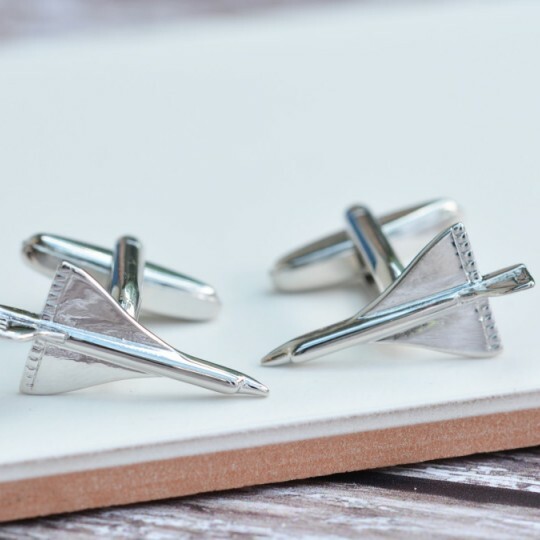 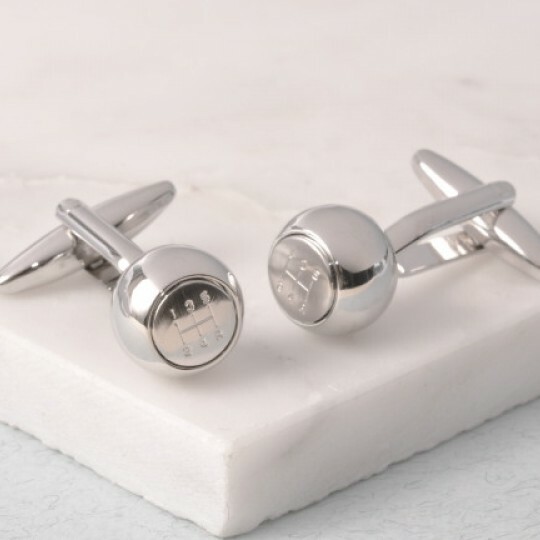 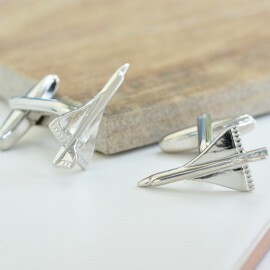 The linear design of the iconic concorde aeroplane makes a stylish pair of cufflinks for any man.Des.. 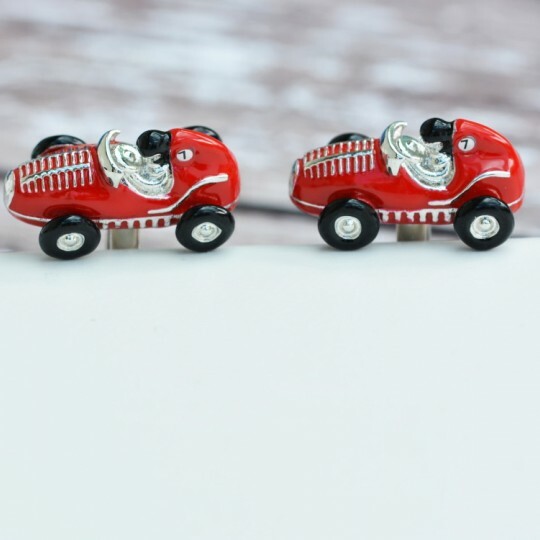 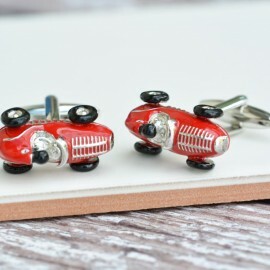 Strikingly detailed and really rather lovely the red racing car cufflinks are the perfect gift for a.. 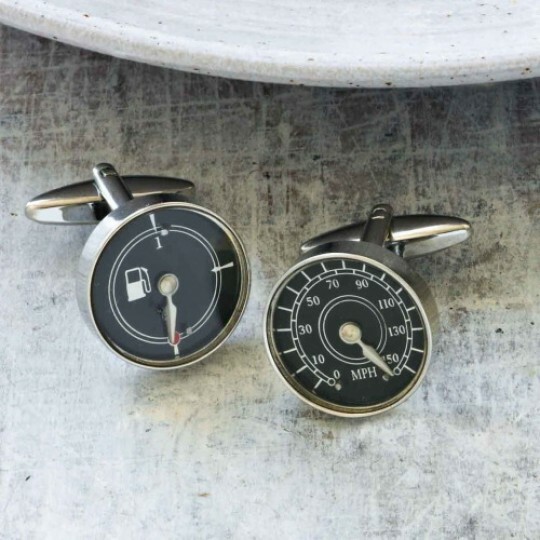 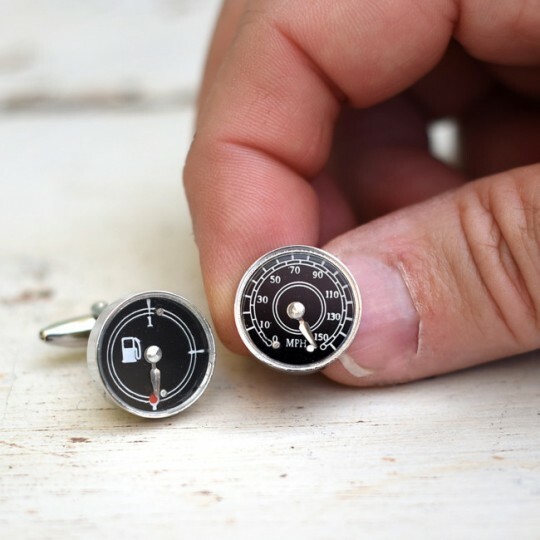 Display your passion for cars with these fun cufflinks featuring a petrol gauge and a classic speedo.. 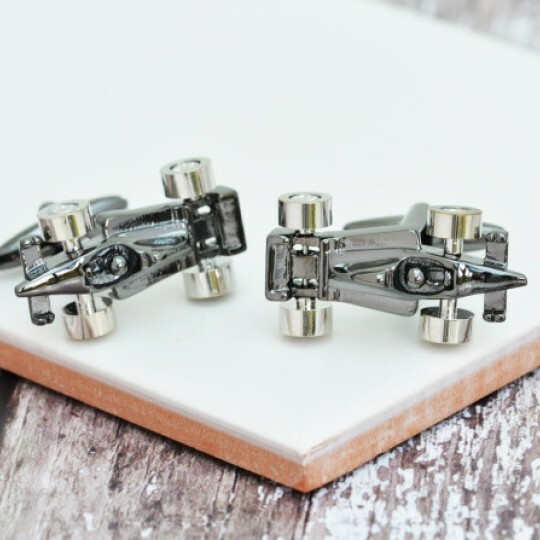 Beautifully detailed,gun metal Formula 1 Racing Car Cufflinks with silver coloured driver and moving.. 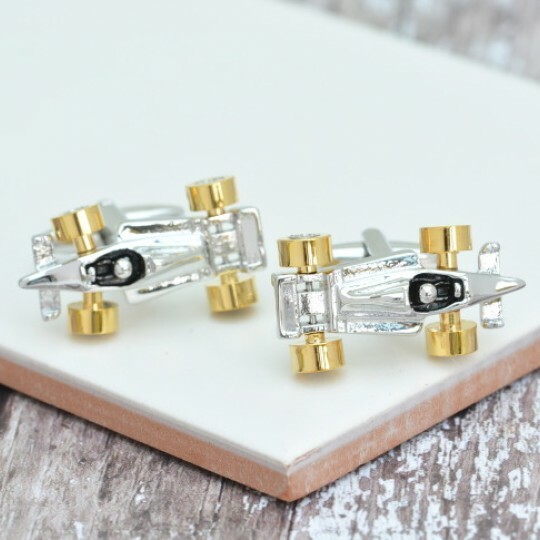 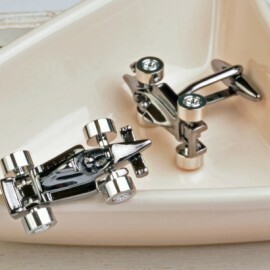 Beautifully detailed, rhodium plated Formula 1 Racing Car Cufflinks with gold coloured driver and mo..
A very smart set of cufflinks for any motoring fan. 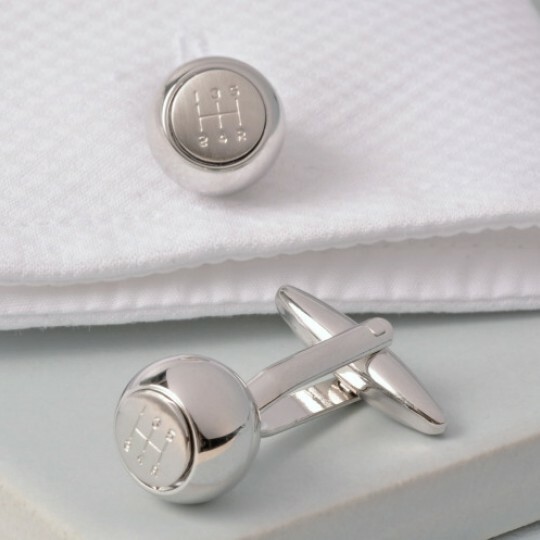 The Gearknob Cufflinks replicate the round ge.. 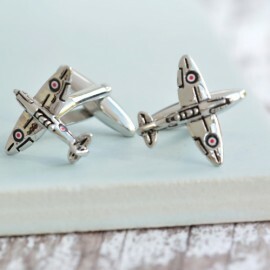 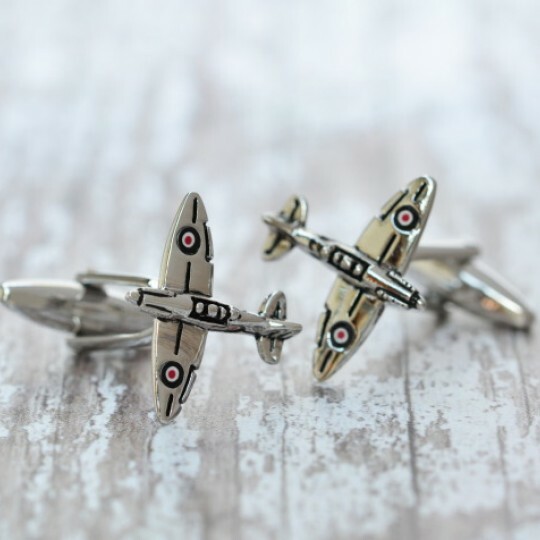 Beautifully engineered cufflinks featuring the iconic spitfire. 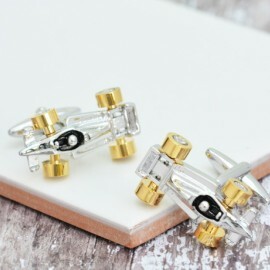 Rhodium plated for a long lasting, t..